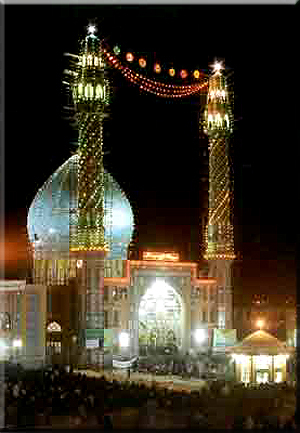 The Jamkaran Mosque was built on the slopes of Kuh-i-Dobaradaran, at the beginning of the Qom-Kashan road, six kilometres away from Qum to the east. Visitors from all parts of Iran and from all over the world come to pay a visit to the Mosque for saying prayer and supplication. Also, half of the estate of the village of Rehaq has been made as an endowment for the maintenance of the Holy Mosque.